Those who know me, know that I love organizing, it is both a hobby and a natural gift that I have. 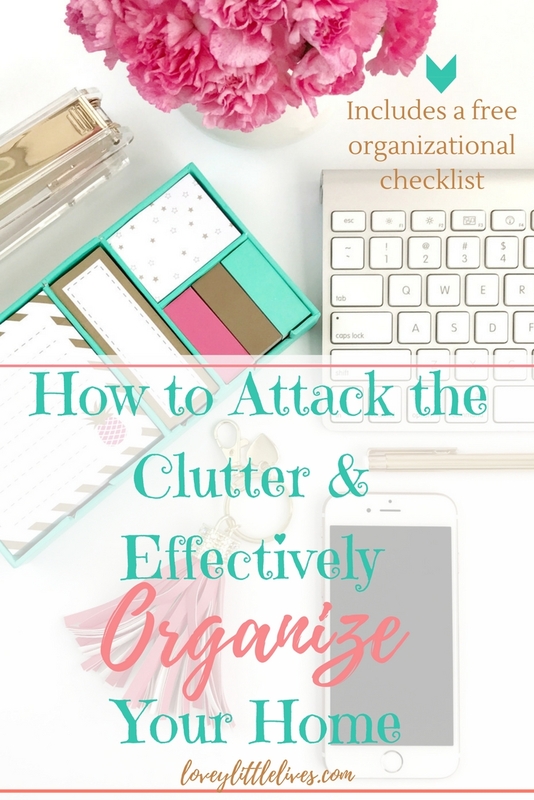 So today I want to share some tips with you on how to attack the clutter and organize your stuff effectively. If you really are serious about organizing and you feel like you don’t even know where to start, I recommend picking a room or a section of your house and then working from there. Pick a new area every week or month and give it a thorough organizing makeover. Sometimes the best way to do this is to take everything out of the space, put it in a pile and then go through it, getting rid of the stuff you no longer need or want and putting the rest back in an orderly fashion. You can do this step by step by going through one drawer, one box, one shelf at a time. 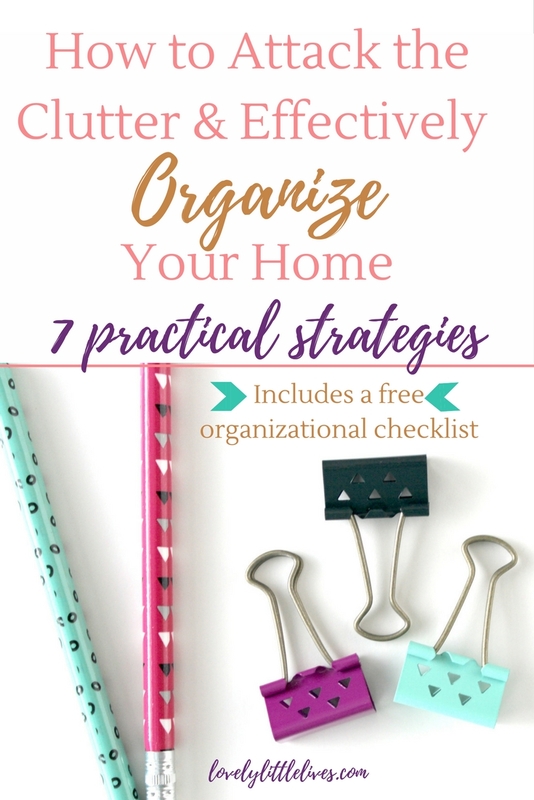 Read on to see my 7 strategies to organize your home and keep it that way. 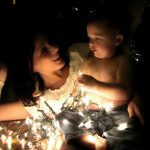 A variation of this post is featured on the Mommy Blogger Series. This is probably my number 1 tip for organizing. If you establish that every item has a designated place, then you can teach yourself and members of your household (including young children) to put items back into the correct spots. This practice not only keeps things tidy but it also helps you or your family members not constantly lose needed items because you can’t remember where you set them down. The key is to get in the habit of always putting things back in their home after you use them. For instance, my keys always go in my purse and my purse always goes on the top shelf of my bedroom closet. All the bills we have to pay each month go directly from the mail box to a mail sorter inside my desk cupboard, the kids’ shoes go in the hanging shoe holder over their closet door, TV remotes live in a basket on our living room end table, ect. 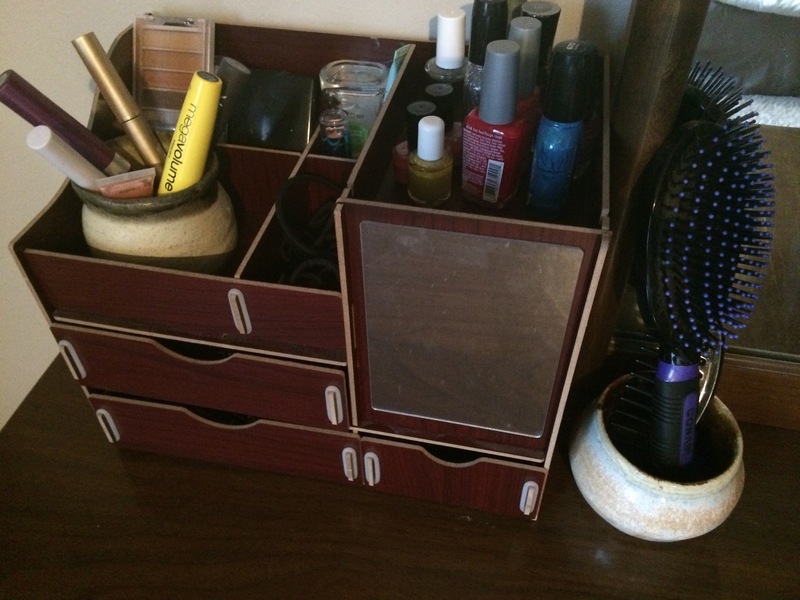 My makeup and hair items have specific places that they go in this little beauty center on my dresser. My mail sorter where all our bills go until we pay them each month as well as my planning binder and my “junk drawer” storage. This is inside my desk cupboard so it’s out of sight but within easy reach. Bonus Tip: If you need a new perspective about your space, consider reordering the room to freshen up the look and to give you new ideas on where to put objects. Every house needs a mail sorter in my opinion. Once you receive the new bill for the month, you can discard the old one so they are not accumulating over time. This goes hand in hand with the above point. Grouping items together will keep them organized, easy to go through when you are purging and easy to put back when you are done using them. You can do this pretty easily by grouping items in boxes, drawers, bins, shelves, and closets. For instance, all the office supplies should be in one place, all the craft supplies should be in another place, toys should all have a designated place, tools should all be together, extra batteries should all be together, coats and shoes should all be together according to the season. And the list goes on. If you have boxes and bins with a bunch of random objects you need to dump those out on the floor, go through them to get rid of the duplicates or worn out items, then categorize them so everything is grouped and easier to find again. 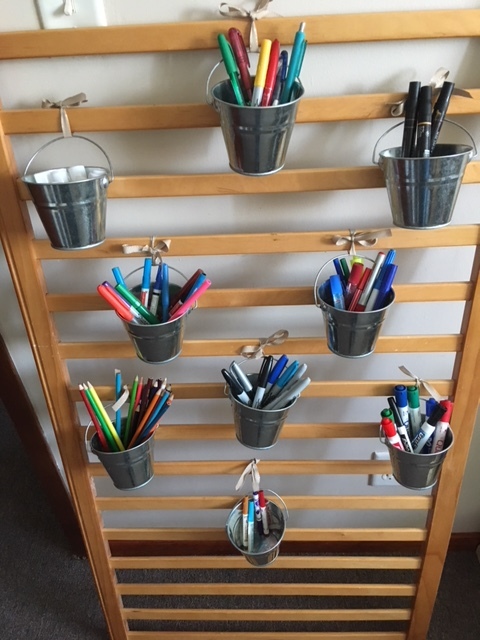 My DIY art center with art supplies categorized by type. 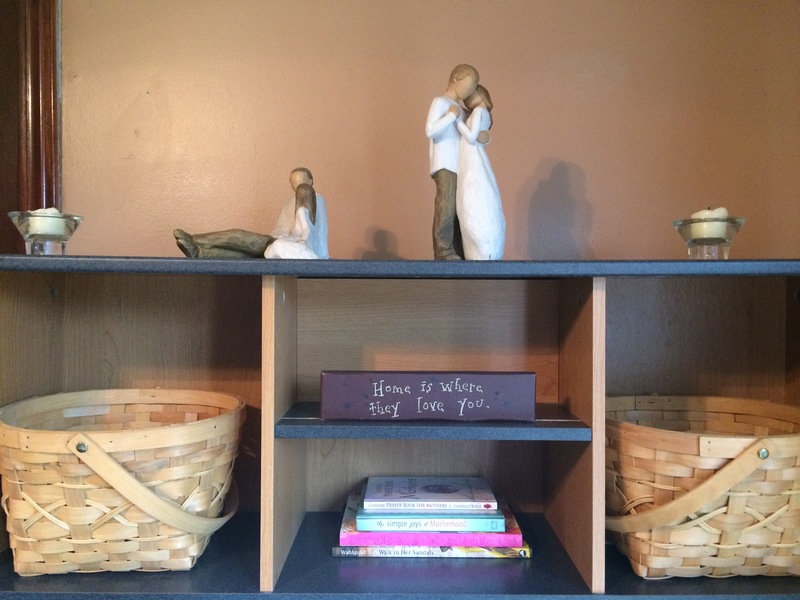 I recycled an old crib rail for this project and added tin pails tied ribbon from Hobby Lobby. 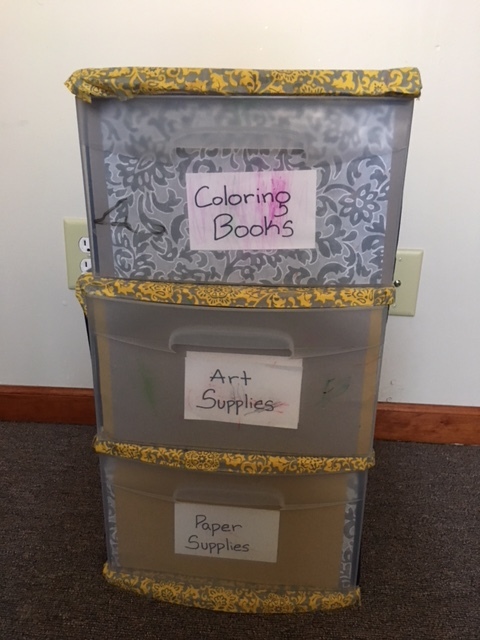 All our craft paper, art supplies, birthday party items and coloring books are stored in two storage drawer sets. One is pictured here. The colored labels are courtesy of my kids. Bonus tip: If our bins and totes of related objects are overflowing, that means we have too much of one type of item. Instead of buying more storage to keep up with the overflow, I go through and pare down that particular container until it can comfortably hold its contents again. The extra items get donated. This might sound harsh, but if you want to pare down your material possessions you have to be willing to let them go. There is nothing wrong with saving certain items for emotional, sentimental, nostalgic reasons but make sure that the emotion is really worth taking up space in your home. You don’t want to keep boxes or piles of useless items that you just have a superficial connection to or zero connection to. Here is what I mean: My husband and I each have a wooden box of letters that we wrote to each other while we were dating long distance- those we will always keep because they filled a whole two years of our lives and they represent the blossoming of our relationship. On the other hand, I recently went through a huge box of my old papers, journals and creative projects from my girl-hood and school days. 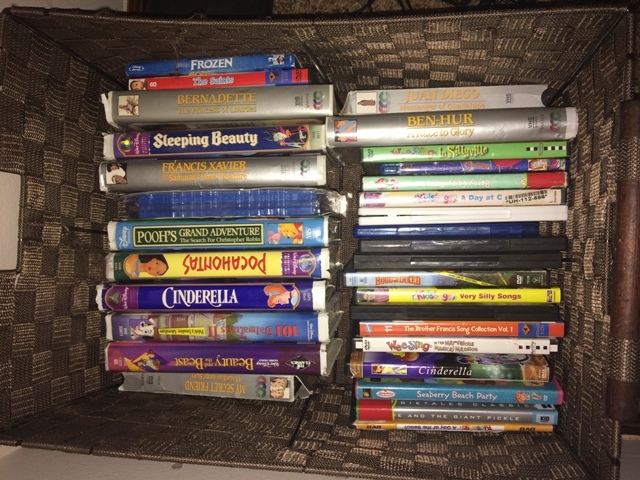 Most of them I threw out because I no longer felt a connection to them. A few papers and journals I kept because I was very proud of them and they portrayed the best sampling of my younger accomplishments. They got transferred to a much smaller box and I then had an open tote to use for other storage. Is this an item I have a deep attachment to or a shallow attachment to? Is this an item I used to have a deeper connection to and now the connection is not as strong? Is this an item I’m going to want to look at again in 20 years or not? By honestly answering these questions, you should be able to figure out if you really need to keep these nostalgic items around or if they are just taking up space. It’s much easier to keep organized if you have less instead of more. If you are able to keep about the same amount of items in your home at all times, you can better maintain organization and have space for all of it without being overcrowded. If you want to freshen up your decor or buy new clothes, try to get rid of the old pieces at the same time that you bring in the new replacements. Throwing away, recycling, donating or selling old or unwanted items are great ways to make space for new items without adding stuff. 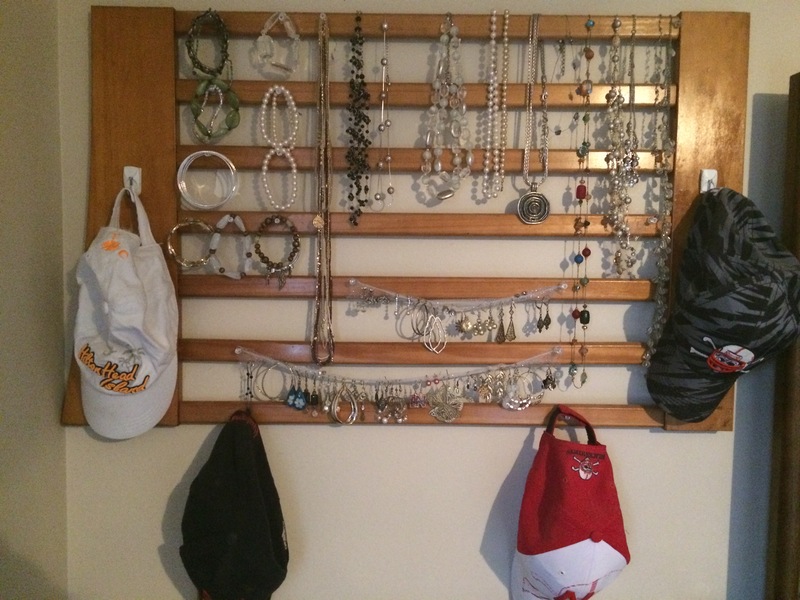 I have gotten a lot of new jewelry over the last few years and have weeded out the outdated and worn items. It all has to fit on this DIY crib rail that I recycled from my baby’s old crib. Bonus tip: If you have items that are still in good condition you can try to sell them through a garage sale, Ebay, Craigslist or other local sales outlets such as Facebook consignment groups. There are some types of clutter you just have to keep, such as paper clutter like tax forms, insurance policies, shopping coupons, recipes, kids’ art work, school and work forms. Other items that tend to accumulate are junk drawer type items like tape, thumb tacks, receipts, notes and scissors. 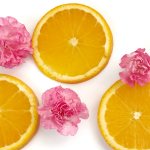 If you don’t have a place for them, they can take over your counter or table space. My solution is to play the hide and seek game. Use envelopes, binders and dividers, filing cabinets, baskets and drawer organizers to reorder all these items and consider keeping them out of sight. Categorize the items so they are easier to find. Use a binder for tax documents, another for recipes, another for each insurance policy ect. Find a space under your bed, in a cupboard or a closet shelf to hide unsightly clutter and keep it that way. Also don’t forget to go through those binders/drawers/envelopes once or twice a year to weed out the outdated information when it’s not longer needed. 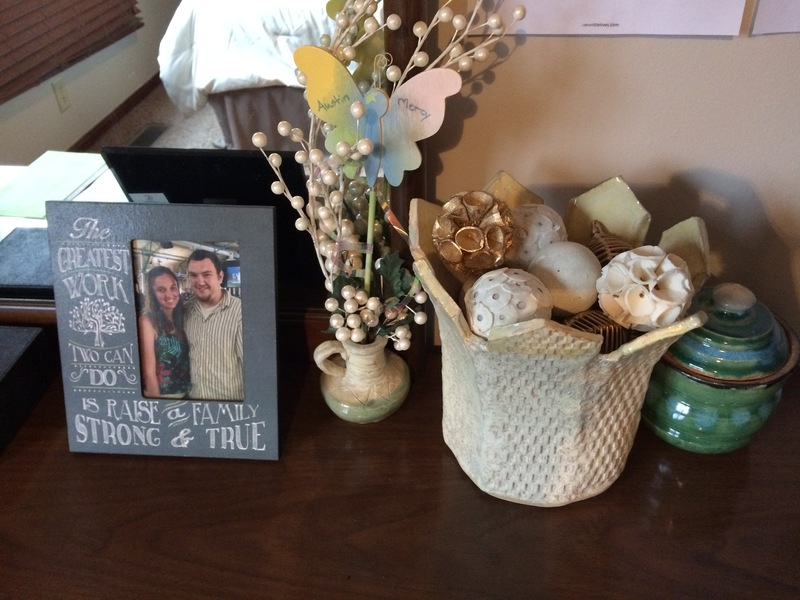 These baskets on my desk are filled on the bottom with junk drawer items such as scotch tape, gift cards, receipts, and notepads. That pretty green clay pot on the corner of the dresser is filled with my husband’s hodgepodge accessories such as earphones, loose change and business cards. Bonus tip: Do you use coupons for eating out or shopping? 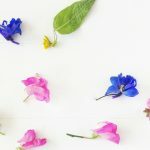 Cut them out and put them in a manilla envelope or a thin binder and stick out of sight under the front seat in your car. Then when you go to purchase something they are already in your car so you don’t forget or lose them. No matter how hard we try, our homes continue to accumulate stuff and if we don’t watch out, the clutter and chaos will take over our space again. 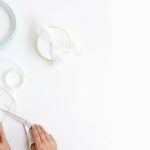 So ideally, once you give your house a major organizational overhaul once, you can keep it that way by purging and reorganizing on a regular basis but on a much smaller scale. I usually go through our things every few months whenever I start to notice the disarray piling up. Do you want more resources to help take control of the clutter? 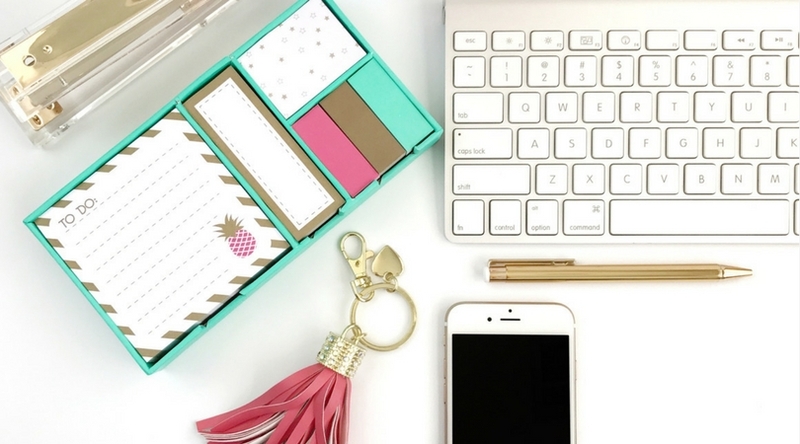 Check out this organizational bundle with 38 resources to help you organize throughout the year. 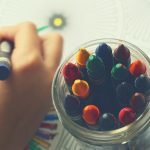 Particularly during times of the year where we are accumulating many new gift items like after Christmas or birthday celebrations, I use those opportunities to pare down and rearrange the parts of our house that tend to get cluttered such as the playroom areas. My general rule is to get rid of items if we haven’t used them in the past year or if they are broken, outdated or outgrown. This rule applies to toys, appliances, clothes, movies, decorations, books, furniture, tools, dishes, knick knacks, electronics, and pretty much anything else you have around. I have a certain amount of totes for the kids’ toys and books. If they get too full, it’s time to go through and purge! Bonus tip: sometimes all your room needs is a little rearranging and re-straightening to make it look more organized. Messy piles of books, clothes, and papers can give a cluttered look but a little restacking/rearranging can make all the difference. Making your space pretty and uniquely your style is the last part of organizing. It’s way more fun to put your house in order if you have pretty totes/baskets/shelves/dividers to use. They are a great way to again hide those unsightly items and to give your rooms a cohesive look. Bonus tip: Buying storage containers that match your decor and style will add a lovely element to each space you organize. This post was featured on A Fireman’s Wife. I’m so honored to be featured there, it is a great link up to participate in for mom bloggers! Great ideas for decluttering! I’m hoping to do some organizing in our home this fall and winter so we can start the new year nice and fresh. We moved last December and it’s just been such a whirlwind to find the time to get everything put away in it’s home. Love this! I am all about getting rid of the clutter! I find keeping things neat so hard. I’m really inspired by you and your tips and will refer back to this post when I’m getting my home in order after the renovation. I love this post! I am all about simplifying, having less and keeping it organized. 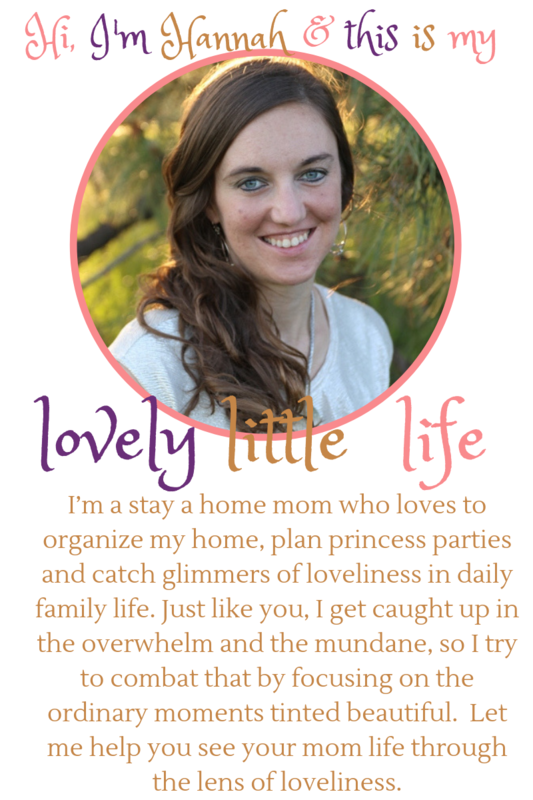 I resonate with your tips and loved reading how you love having a clutter free and organized home too. I am also always open to learning more ways to organize and can’t wait to read the checklist! 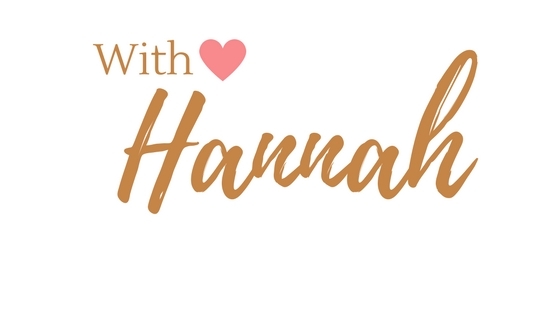 So many tips and good ideas here for organization, Hannah! I especially agree with keeping sentimentality only for very special things, and going through things often. Love your tips on organizing! I feel like I am always trying to get my family to organize. We are in the midst of packing to move so we are doing alot of purging which has been a great feeling to see less stuff in the house to move! Great Tips!!! Playing hide is seek is my favourite game, espacialy since my husband and 7 y.o, found sentimental attachment to everything!!!! My husband really believes in out with the old..on with the new..he regularly clears out what he doesnt use from his wardrobe n donates to charity. I do it too but not often enough. Another thing im teaching myself is not hoard stuff. Everything is available to buy so i dont need excess at home! And finally – my 1.6 year olds art work. Yeah. I dont need to save all 20 pages i get everyweek from day care! Yes. It really makes a world of difference if you can emotionally separate yourself from all the “stuff”. I take pictures of a lot of my kid’s artwork so that I can save the digital picture but throw away the actual craft/art that is taking up extra space. I am 100% on board with everything in this article. But how do I convince the rest of the family?? Haha, yeah that can be the hard part. My kids are little enough that I don’t have too many issues with them. Sure they make a big mess of their toys but we have tidy up sessions a couple a times a day and I usually have them help me put away their toys before they get to go onto another activity. If they protest they sit in time out and they don’t get to do anything fun until the mess is cleaned up. It works like a charm most of the time. I love the mail sorter! Need to adopt that idea into my house! Great ideas! I’m actually moving back in with my parents to save some money soon, and I’m having to basically fit an entire apartment into one bedroom. I need all the organization tips I can get! Awesome, best of luck with your transition! 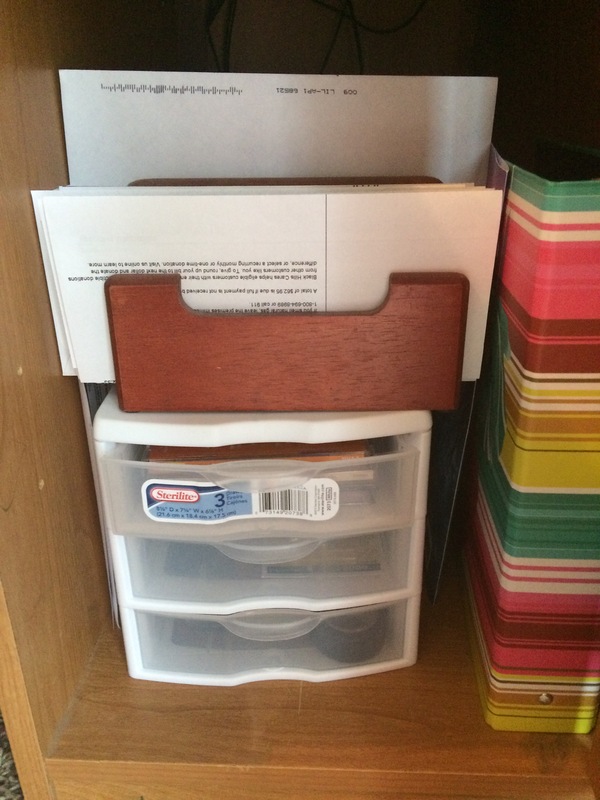 There are so many great organization products available to us that it makes it fun to organize. I firmly believe that everything needs a home, if you don’t do this step, it will make it difficult to maintain any kind of organization in your home. Clutter makes me so anxious! I’m always looking ways to improve my organizing skills, and of course, my house is full of baskets & binders :). The hardest part though is getting rid of things I’m emotionally attached to. Gotta work on that one! I have to 100% lose the sentiment when it comes to getting rid of things. That’s really the hardest part for me! I save everything. Thanks for these helpful tips! These are great tips. I always have to wait until the weekend. I love to organize, too! These are great tips. Everything does need a home. A labeled home. Haha. I love your tip about getting rid of things if you have a bin that is overflowing. You just feel lighter afterwards. Yes, I ‘ve recently gotten into labeling things more and love it! It just give the organizing an extra boost. I think I might be a label-aholic! As a teacher, I can’t help myself! These are such wonderful ideas. 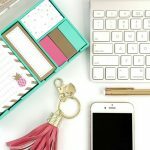 I am all about reducing clutter – I feel like it reduces stress in my life too! I can’t wait to use your mail sorter idea. It’s a great suggestion!! 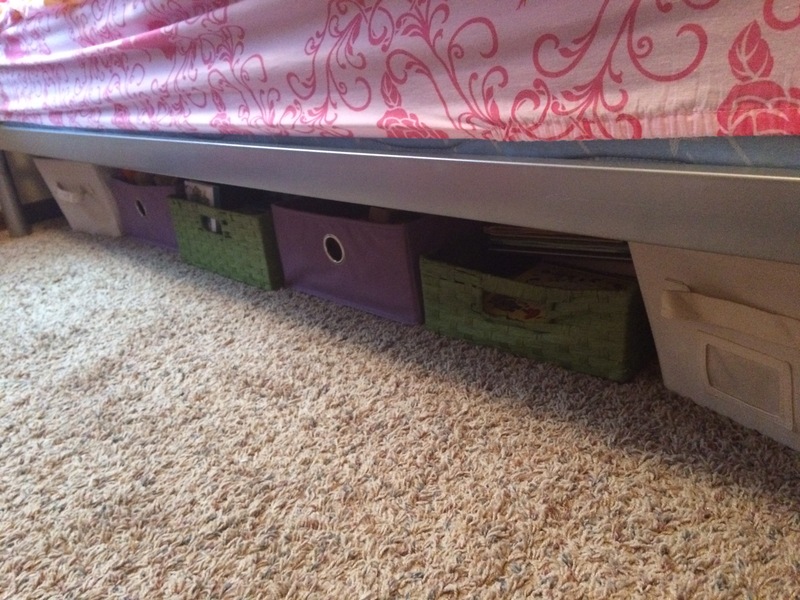 I never think about under the bed storage, but I really need to! Things end up under my kids beds and it drives me nuts when I clean it out. If they had bins under there, that would likely help so much! Yes! I love having bins under the beds. I actually just bought some new ones from Shopko that were in the back to school college section. They slide in and out from under the bed so easily. Awesome, you got this 🙂 One small step at a time. I need to tackle our closets – well, actually our whole house, but think the closets should be first. If I can get just ONE area organized, then maybe it would inspire me to take on the rest. They are such a mess! This is such a great post! I love your idea of keeping the coupons in an envelope under the front seat. Those coupons are all over my office right now. I am pinning this for later so I can go back and use some of your other ideas. Thanks for sharing! I have lots of stuff to purge, I tend to be a paper person. But Goodwill is close by for those thingss I really don’t need. Yes donating stuff is a great way to repurpose it. I’m constantly making a pile to donate. Thank you for your post and your great ideas! 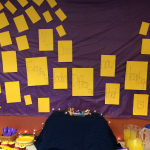 You will be the featured post on this weeks Friday at the Fire Station link-up! I agree with a lot of this. I’m a big fan of baskets and boxes especially! I’ve also found that increasing vertical storage space helps you keep a lot more per square foot of floor space then anything else. That’s a great tip Lauren. I definitely try to maximize vertical closet space! Thanks! Yeah you can definitely find cheap bins to organize with.